In March 1785, the Franklin Assembly appointed John Sevier, previously the leader of the Watauga Association, as governor of Franklin. Image courtesy of the North Carolina Office of Archives and History, Raleigh, NC. In 1775, the General Assembly issued a manifesto condemning the establishment of the State of Franklin. Image courtesy of the North Carolina Office of Archives and History, Raleigh, NC. 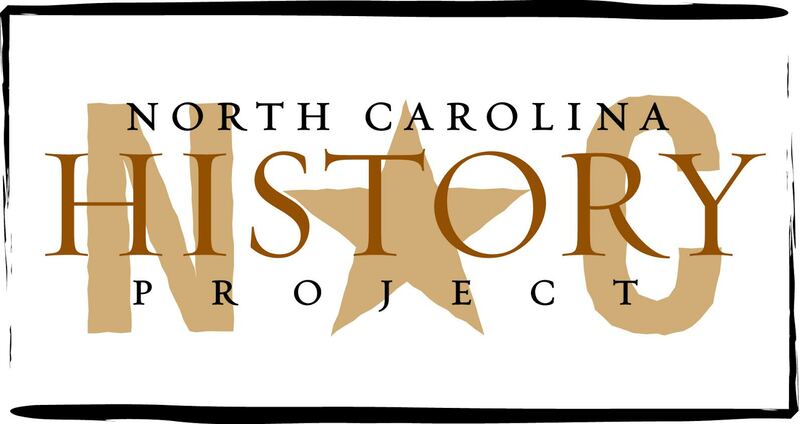 At the end of the American Revolution, North Carolina’s western lands stretched from the crest of the Appalachian Mountains to the Mississippi River and contained two established settlements. One of these, a struggling line of fortified stations along the Cumberland River, dealt with a constant threat of Indian attacks. Along the Watauga and Nolichucky rivers, the larger, and by far the more established, settlement was located. There, three county governments and several thriving towns served the needs of perhaps as many as 5,000 inhabitants, and separated from North Carolina by the rugged terrain of the Unaka Mountains, the population had only tenuous ties to the state government. For some time, the North Carolina legislature had sought eagerly to rid itself of the responsibility for administering these remote settlements, but the state’s western lands represented its only real asset. The legislators’ innovative solution, later known as the “Land Grab Act,” opened all of North Carolina’s western lands for sale. Four million acres were claimed between October 1783 and May 1784, three million of which were claimed by members of the legislature or their business partners. Many of the resulting warrants were questionable, and some were obviously fraudulent. Even so, the legislators promptly passed an act ceding its western lands to the federal government and included a provision guaranteeing the validity of all land warrants issued under North Carolina law. While the Confederation Congress considered how it should respond to the cession, North Carolina voters reacted quickly. The ensuing elections shifted power in the legislature, and as one of their first acts, the new legislators repealed the cession. The framers of the Land Grab Act soon regained their power, but by then a different set of circumstances in the west confronted them. Encouraged by congressional land acts that anticipated a speedy formation of new states from ceded lands, various statehood movements emerged in the Trans-Appalachian West. Most had minimal impact; but for the western North Carolina counties of Washington, Sullivan, and Greene—heavily populated and with a tradition of self-government—statehood had seemed logical. In response to North Carolina’s cession, the three counties in August 1784 organized as the State of Franklin. Undeterred by the subsequent repeal of the cession, they issued a declaration of independence listing their grievances against the North Carolina government. Foremost was the distance that separated them from the state capital, which aside from the obvious inconveniences also made timely responses to Indian attacks nearly impossible. Equally important, Franklinites correctly perceived that North Carolina legislators by and large held western inhabitants in clear contempt. Thus justified, the Franklin movement moved forward. Aside from Washington, Sullivan, and Greene counties, the boundaries of the proposed state were unclear. But the possibility did exist that the new state would extend its boundaries, in which case the State of Franklin, not the federal government, would determine the validity of land warrants. North Carolina’s legislators were thus reluctant to renew the act of cession while the Franklin movement had any chance of success. For the Franklinites success depended on sound leadership, something sorely missing from their constitutional convention in late 1784. Delegates put forward the Houston Constitution that called for a unicameral legislature, guarantees of religious freedom, and requirement that routine legislation be submitted to the citizens for debate and approval. Adult males were granted the right to vote without property qualifications, yet they were subject to specific moral restrictions; lawyers, ministers, and doctors, however, were excluded from public office. Many features of the Houston Constitution were not unique, but as a whole, the document represented a radical approach to self-government. Ensuing debate created ominous divisions among the Franklinites, and the document was ultimately rejected. In its place, a constitution modeled largely on that of North Carolina was adopted. Yet few delegates were satisfied. One person among the Franklinites, however, provided a much-needed charismatic leadership: John Sevier. He was a leader of the Watauga Association, and his popularity and influence had increased during the Cherokee offensive of 1776. But it was at the Battle of King’s Mountain that Sevier established his reputation as a leader. It was only natural that Franklinites turned to him once again. At the first meeting of the Franklin Assembly in March 1785, Sevier was appointed governor, four new counties were created, and William Cocke was dispatched to Congress to request for admission as the 14th state. Sevier met with Cherokee leaders in June 1785 at Dumplin Creek in hopes of gaining additional land south of the French Broad River. Although the Cherokee later claimed they only agreed to permit white families already living in the region to remain, Sevier and the Franklinites interpreted the treaty differently and claimed the entire region between the French Broad and the Little Tennessee rivers open for settlement. New settlers moved in immediately, although only the State of Franklin legitimated their land claims. Even that slim thread of legality was destroyed when the United States met with the Cherokee at Hopewell in November and completely ignored the Dumplin Creek negotiations. According to the boundaries established at Hopewell, the town of Greeneville, capital of the State of Franklin, was located well within the boundary of the Cherokee Nation. The lack of recognition and respect at Hopewell was only one in a series of reversals for the Franklin movement. Congress had already voted to reject the new state’s request for admission, and factionalism—which had never been far from the forefront—soon intensified. County courts created under the authority of the new state clashed—sometimes violently—with those that continued to function under North Carolina authority. Intermittent hostility with the Cherokee degenerated into a warfare marked in which both sides committed atrocities. By the end of 1787, a sizable portion of the population had rallied under the leadership of John Tipton and called for a return to North Carolina sovereignty. When Tipton persuaded a North Carolina county sheriff to seize some of Sevier’s property for back taxes, the Governor of Franklin responded by leading a small army to Tipton’s home in February 1788. Although the clash included only of a brief siege and an inconclusive skirmish, it is now known as the Battle of Franklin. From that point on, the State of Franklin deteriorated quickly. Sevier attempted yet failed to gain interest in annexation from the Spanish governor at New Orleans. In July, Sevier was arrested for treason and taken to Morganton for trial. When a heavily-armed group of Sevier’s followers arrived a few days later to rescue him, the sheriff in Morganton wisely looked the other way. Sevier afterward lived south of the French Broad, where ardent followers organized what they called Lesser Franklin. That creation, too, soon faded away. In February 1789, Sevier and other Franklin leaders took the oath of allegiance to North Carolina. The way was now clear for the North Carolina legislature to cede its western lands to the federal government and be recognized as having all legal claims to North Carolina land warrants. This time Congress acted promptly. Many former Franklinites, including John Sevier, held important positions in the territorial government established for the North Carolina cession. Their involvement was an important factor in the effective administration of that government at the local level. Statehood was eventually realized in 1796, when the North Carolina cession, with the various communities that had once formed the State of Franklin as its nucleus, became the state of Tennessee. Thomas Perkins Abernathy, From Frontier to Plantation in Tennessee (Chapel Hill, 1932); John D. Barnhart, Valley of Democracy: The Frontier vs. the Plantation in the Ohio Valley (Bloomington, 1953); Walter Faw Cannon, “Four Interpretations of the History of the State of Franklin,” East Tennessee Historical Society Publications 22 (1950): 3-18; Carl Driver, John Sevier: Pioneer of the Old Southwest (Chapel Hill, 1932); John R. Finger, Tennessee Frontiers: Three Regions in Transition (Bloomington, 2001); Paul M.Fink, “Some Phases of the History of the State of Franklin,” Tennessee Historical Quarterly 16, no. 3 (1957): 195-213; Andrew C. Holt, “The Economic and Social Beginnings of Tennessee,” Tennessee Historical Magazine 7, no. 4 (1922): 252-313; James W. Hagy and Stanley J. Folmsbee, “Arthur Campbell and the Separate State Movements in Virginia and North Carolina” East Tennessee Historical Society Publications 42 (1970): 20-46; Ned Irwin, “The Lost Papers of the `Lost State of Franklin’,” Journal of East Tennessee History 69 (1997): 84-96; Daniel Jansen, “A Case of Fraud and Deception: The Revolutionary War Military Land Bounty Policy in Tennessee,” Journal of East Tennessee History 64 (1992): 41-67; James B. Jones, “The Lost State of Franklin: Sevier, Secession and Statehood, part 1,” The Courier 38, no. 1 (1999): 3-5, “The Lost State of Franklin: Sevier, Secession and Statehood, part 2,” The Courier 38, no. 2 (2000): 4-5; William H. Masterson, William Blount (Baton Rouge, 1954); J.G.M. Ramsey, The Annals of Tennessee to the End of the Eighteenth Century (Johnson City, TN, reprint 1999); Malcolm Rohrbaugh, The Land Office Business: The Settlement and Administration of American Public Lands, 1775-1837 (New York, 1968), The Trans-Appalachian Frontier: People, Societies, and Institutions, 1775-1850 (New York, 1976); Cora Bales Sevier and Nancy S. Madden. Sevier Family History, with the Letters of Gen. John Sevier (Privately Published, 1961); J.T. McGill, “Franklin and Frankland: Names and Boundaries,” Tennessee Historical Quarterly 8, no. 4 (1925): 248-57; David H Templin, “The Lesser Franklin,” Smoky Mountain Historical Society Newsletter 10, no. 4 (1984): 19-26; “The Tipton Battle” in the Draper Collection of Manuscripts, 30SS54-63, microfilm edition (original in possession of the State Historical Society of Wisconsin, Madison); Samuel Cole Williams, The Lost State of Franklin (Johnson City, TN, reprint 1993).